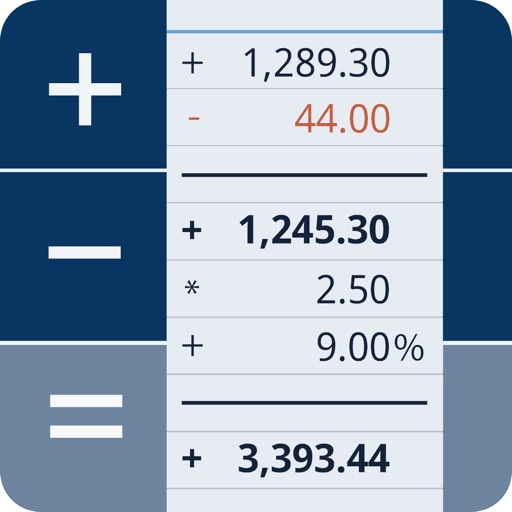 - Insert comments and notes into your calculations anywhere. - You can use intermediate results to structure your calculation. 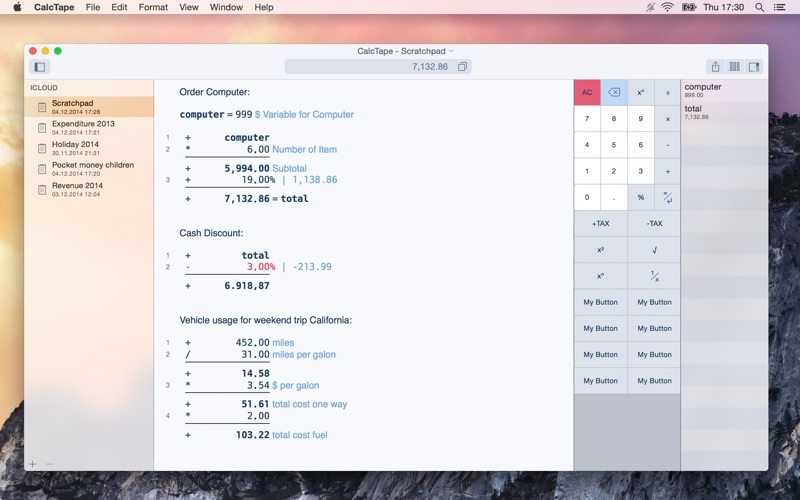 - Use it for Money, Tax and any other percentage calculation easily. - If you should later change digits or whole mathematical expressions, then the complete calculation is automatically updated. 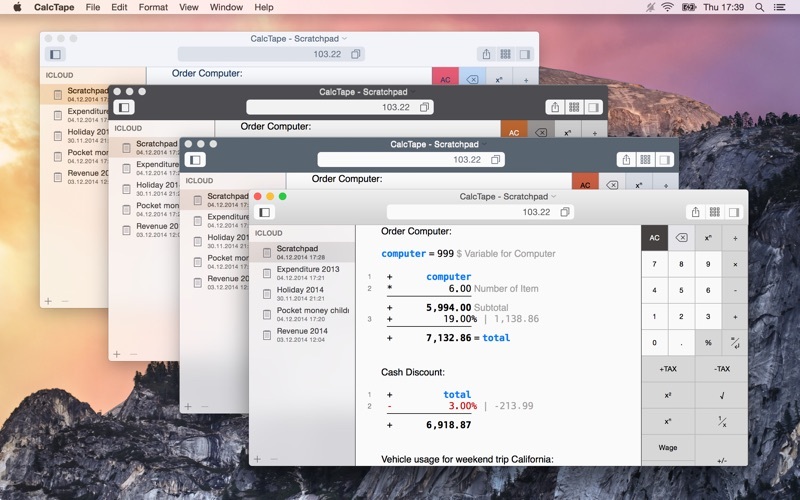 - Save your calculations into files. - Open the files later to change the calculations. 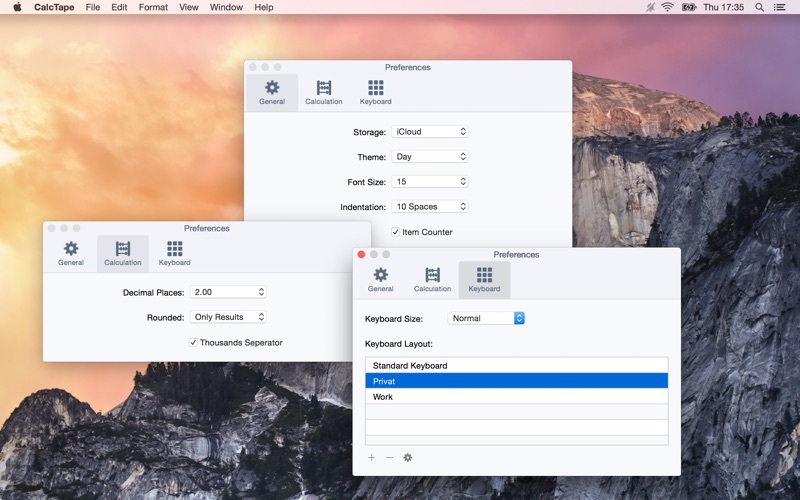 - Define your own functions and buttons. 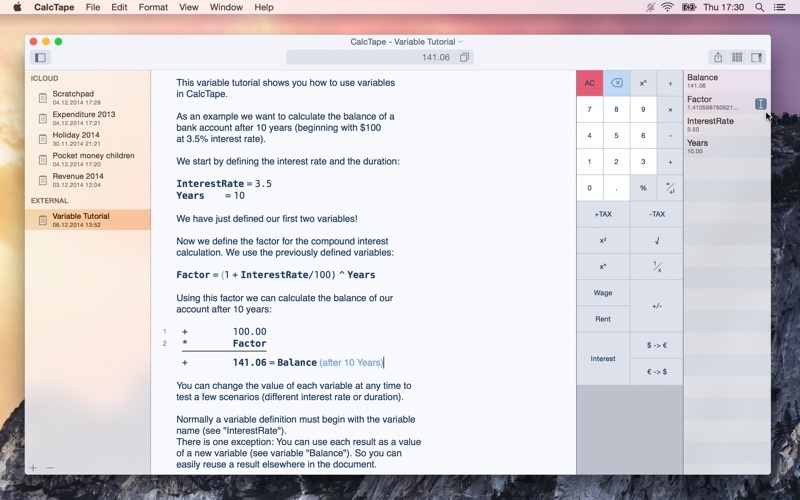 - Share your complete calculation via e-mail, Airdrop and more. - Choose your favorite design. - iCloud support (Mac OS 10.10 and higher). 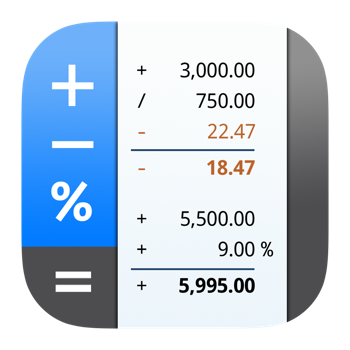 Sync your calculations with iPhone and iPad easily. 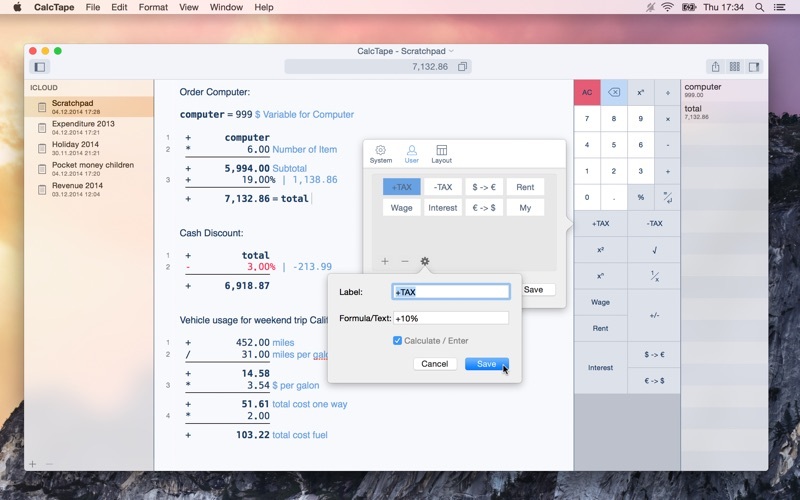 - CalcTape masters the four basic arithmetical operations, exponentials, percentage calculations and much more. - Right click a button to assign another existing function or to create a user function for it.